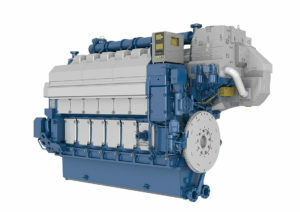 Wärtsilä has been awarded the contract to supply a 39 MW power plant to Aqualectra, the utility company of Curaçao. The turnkey project will provide much needed additional generating capacity, and provide Aqualectra with the fast starting capacity and flexibility needed to add more wind power capacity to the island’s system. The company already has more than 46 MW of installed generating capacity from wind energy, and plans to add more renewable energy generation in the near future. The new plant will operate on four of the company’s dual-fuel engines running initially on heavy fuel oil (HFO), but switching to liquefied natural gas (LNG) fuel at a later date. The solution will add needed reliability to the grid, and when running on LNG will notably reduce the utility’s environmental impact. The plant will be equipped with continuous emissions monitoring capability. The post Multi-fuel engine for more power generation appeared first on EE Publishers.